ONLY AT DEAN & DELUCA. Our rich and hearty tomato and basil sauce is made especially for us in Abruzzo, Italy using a time-honored recipe. 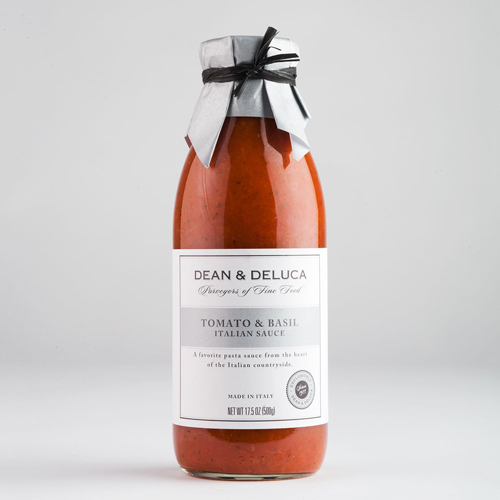 Fresh vine-ripened tomatoes, spicy basil, robust olive oil, onions and just a touch of natural sea salt are simmered slowly in small batches to create a sauce with great depth of flavor and incredible aroma.